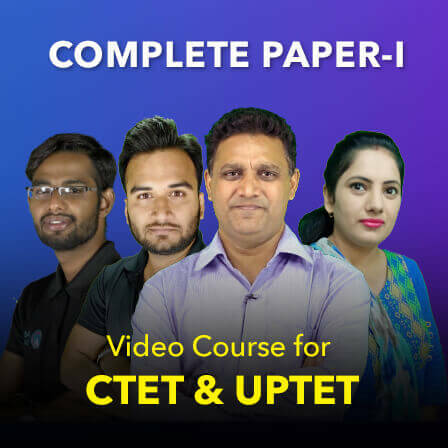 UPTET or Uttar Pradesh TET Exam is one of the prestigious exam conducted in Teaching Domain by Uttar Pradesh Basic Education Board (UPBEB). UPTET 2018 will be conducted to select eligible candidates to Primary and Upper Primary Post of Teachers in various schools of Uttar Pradesh. The detailed advertisement for UPTET 2018 will be released on September 15, 2018. This year, over 5 lakh candidates are expected to appear for Uttar Pradesh Teacher Eligibility Test 2018. UPTET Notification 2018 will be released by Uttar Pradesh Basic Education Board on 15th September 2018. Candidates can read the official UPTET Notification by clicking on the link given below. The Online Application for UPTET 2018 will start from September 17 and will end on October 3rd, 2018. 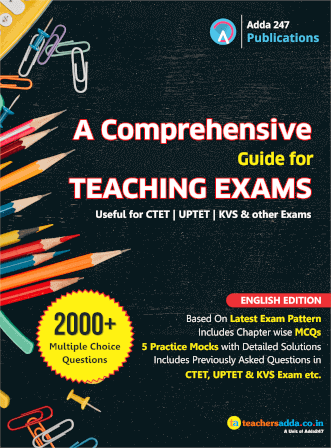 UPTET Exam is scheduled on 28th October 2018. The Online Application for the same will start from 17th September 2018. Let's have a look at the detailed UPTET Exam Dates 2018. The Application form of UPTET 2018 will be available online. Candidates who wish to apply for the exam can do the same by logging in to the official website of UPBEB. To successfully submit the online UPTET Application Form, a candidate must pay Rs. 400/- as application fee (GEN/OBC). Candidates belonging to SC/ST category must pay Rs. 200/- as UPTET Application Fee. Candidates who are physically challenged are exempted from paying any application fee. UPTET 2018 will be conducted offline. 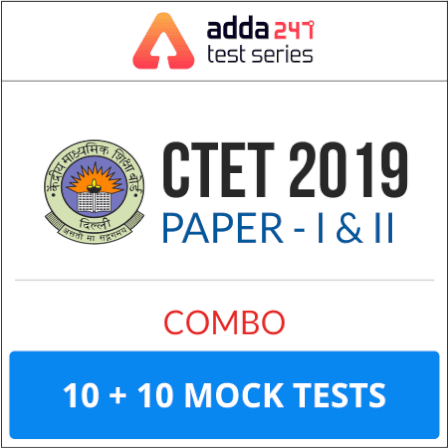 A candidate must appear for Paper-1 if he/she wishes to teach from class 1-5 and must appear for Paper-2 if he/she wishes to teach from class 6-8. 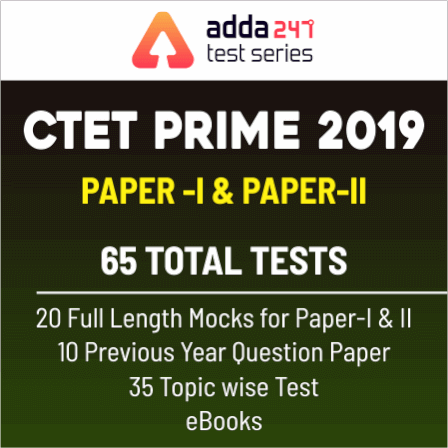 There is no provision of negative marking in UPTET 2018 Exam. Child Development and Pedagogy Unit 1 Child Development: Concept of growth and development, Principles and dimensions of development. Factors affection development (especially in the context of family and school) and its relationship with learning. Role of Heredity and environment. Unit 2 Meaning and Concept of learning and its processes. Factors Affection learning. Theories of learning and its implication. How Children learn and think. Motivation and Implications for Learning. Unit 3 Individual Differences: Meaning, types and factors Affection Individual differences Understanding individual differences on the basis of language, gender, community, caste & religion. Personality: Concept and types of personality, Factors responsible for shaping it. Its measurement. Intelligence: Concept, Theories and its measurement, Multidimensional Intelligence. Unit 4 Understanding diverse learners: Backward, Mentally retarded, gifted, creative, disadvantaged and deprived, specially-abled. Learning Difficulties. Adjustment: Concept and ways of adjustment. Role of teacher in the adjustment. Unit 2 Unseen Poem. Identification of Alliteration, Simile, Metaphor, Personification, Assonance, Rhyme. Unit 3 Modal Auxiliaries, Phrasal Verbs and Idioms, Literary Terms: Elegy, Sonnet, Short Story, Drama. Unit 4 Basic knowledge of English Sounds and their Phonetic Transcription. Unit 5 Principles of Teaching English, Communicative Approach to English Language Teaching, Challenges of Teaching English: Language Difficulties, Errors and Disorders. Unit 6 Methods of Evaluation, Remedial Teaching. Mathematics Unit 1 Whole number up to one crore, Place Value, Comparison, Fundamental mathematical operations: Addition, Subtraction, Multiplication and Division; Indian Currency. Unit 2 Concept of fraction, proper fractions, comparison of paper fraction of same denominator, mixed fraction, comparison of proper fractions of unequal denominators, Addition and Substation of fractions. Prime and composite number, Prime factors, Lowest Common Multiple (LCM) and Highest Common Factor (HCF). Unit 3 University Law, Average, Profit-Loss, Simple interest. Unit 4 Place and curved surfaces, plane and solid geometrical figures, prosperities of plane geometrical figures; pint, line, ray, line segment; Angle and their types. Length, Weight, Capacity, Time, measurement f area and their standard units and relation between them; Area and perimeter of plane surfaces of square and rectangular objects. Unit 5 Nature of Mathematics/Logical thinking. Place of Mathematics in Curriculum. Language Mathematics. Community Mathematics. Unit 6 Evaluation through formal and informal methods. Problems of Teaching. Error analysis and related aspects of learning and teaching. Diagnostic and Remedial Teaching. Environmental Studies Unit 1 Family Personal relationships, nuclear and joint families, social abuses (child marriage, dowry system, child labor, theft); addiction (intoxication, smoking) and its personal, social and economic bad effects. Clothes and Habitats – Clothes for different seasons; maintenance of clothes at home; handloom and power loom; habitats of living beings, various types of houses; cleanliness of houses and neighboring areas; Different types of materials for building houses. Unit 2 Profession – Profession of your surroundings (stitching clothes, gardening, farming, animal rearing, vegetable vendor etc. ), small and cottage industries; major industries of Rajasthan State, Need for consumer protection, co-operative societies. Public places and Institutions – Public places like school, hospital, post office, bus stand, railway station; Public property (street light, road, bus, train, public buildings etc. ); wastage of electricity and water; employment policies; general information about Panchayat, legislative assembly and parliament. Our Culture and Civilization – Fairs and festivals, National festivals; Dresses, food-habits and art and craft of Rajasthan; Tourist places of Rajasthan; Great personalities of Rajasthan. Unit 3 Transport and Communication – Means of transport and communication; Rules for pedestrians and transport; Effects of means of communication on the life style. Personal Hygiene – External parts of our body and their cleanliness; general information about the internal parts of the body; Balance diet and its importance; Common diseases (gastroenteritis, amoebiosis, methaemoglobin, anemia, fluorosis, malaria, dengue.) their causes and methods of prevention; Pulse Polio campaign. Living Beings: Levels of organisation of plants and animals, diversity of living organisms, state flower, state tree, state bird, state animal; knowledge of reserve forest and wild life (national parks, sanctuaries, tiger reserve, world heritage), conservation of species of plants and animals, knowledge of Kharif and Rabi crops. Unit 4 Matter and Energy – Common properties of substances (colour, state, ductility, solubility) various types of fuels; types of energy and transformation of one form into another; Applications of energy in daily life, sources of light, common properties of light. > Basic knowledge of air, water, forest, wetlands and deserts; different kind of pollution, renewable and non-renewable resources of energy in Rajasthan and concept of their conservation; weather and climate; water cycle. Child Development and Pedagogy Child Development (Elementary School Child) Concept of development and its relationship with learning Principles of the development of children Influence of Heredity & Environment Socialization processes: Social world & children (Teacher, Parents and Peers) Piaget, Kohlberg and Vygotsky: constructs and critical perspectives Concepts of child-centered and progressive education Critical perspective of the construct of Intelligence Multi-Dimensional Intelligence Language & Thought Gender as a social construct; gender roles, gender- bias and educational practice Individual differences among learners, understanding differences based on diversity of Language, caste, gender, community, religion etc. Distinction between Assessment for learning and assessment of learning; School Based Assessment, Continuous & Comprehensive Evaluation: perspective and practice Formulating appropriate questions for assessing readiness levels of learners; for enhancing learning and critical thinking in the classroom and for assessing learner Achievement. Social Studies/Social Sciences History When, Where and How, The Earliest Societies, The First Farmers and Herders, The First Cities, Early States, New Ideas, The First Empire, Contacts with Distant lands, Political Developments, Culture and Science, New Kings and Kingdoms, Sultans of Delhi, Architecture, Creation of an Empire, Social Change, Regional Cultures, The Establishment o f Company Power, Rural Life and Society, Colonialism and Tribal Societies, The Revolt of 1857 – 58, Women and reform, Challenging the Caste System, The Nationalist Movement, India After Independence. 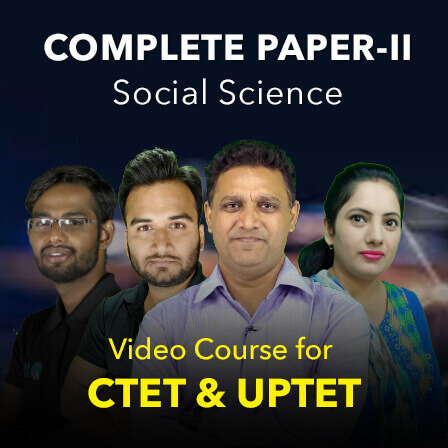 Social and Political Science Diversity, Government, Local Government, Making a Living, Democracy, State Government, Understanding Media, Unpacking Gender, The Constitution, Parliamentary Government, Social Justice and the Marginalized. Pedagogical issues Concept & Nature of Social Science/Social Studies, Class Room Processes, activities and discourse, Developing Critical thinking, Enquiry/Empirical Evidence, Problems of teaching Social Science/Social Studies, Sources – Primary & secondary, Projects Work. Degree with Minimum 50% from U.G.C. recognized or law established university/ SC/ ST/ OBC/ PH/ Freedom Fighters will be given for 05% in Degree & 02 years Diploma (D.Ed) from N.C.T.E/ Rehabilitation Council of India (RCI). 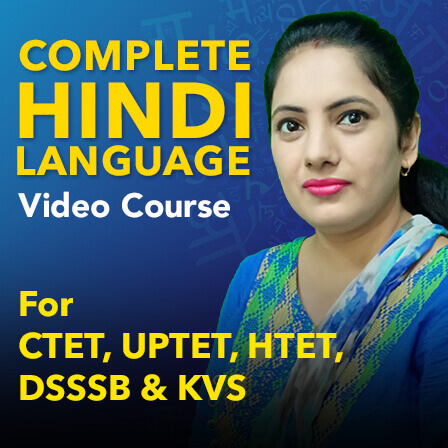 Intermediate with 50% & 04 years B.A/ B.Sc.Ed/ B.A.Ed from recognized by N.C.T.E./ U.G.C. Intermediate with minimum 50% & 04 years Bachelor’s Degree in Elementary Education (B.El.Ed). The Admit Card for UPTET 2018 will be released on 17th October 2018. The Written Exam is scheduled tentatively on 28th October 2018. Admit Card will be available online for candidates to download. The admit Card will be released separately for candidates appearing for Paper-1 and Paper-2. UPTET Result 2018 will be declared once the exam for the same has been conducted. Candidates can check their Result online. 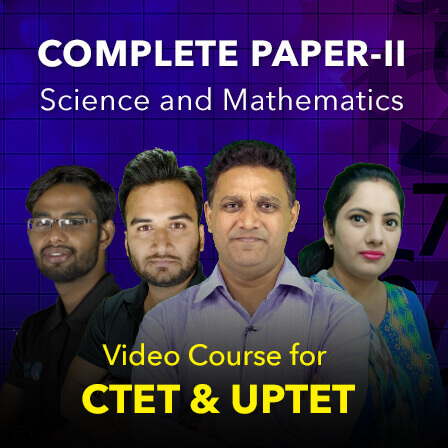 The result for UPTET 2018 Exam will be declared separately for Paper-1 and Paper-2.